Super easy one bowl recipe for cookies with cake mix in 6 ways. 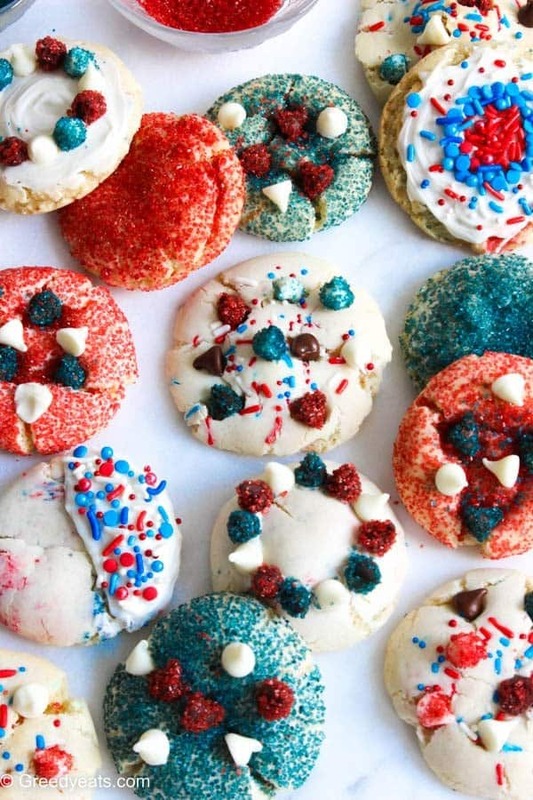 These are loaded with sugar coated chocolate chips, sprinkles and sparkling sugar! I made two dozen cookies yesterday and clicked one thousand shots. No, I’m not kidding. It took me several hours to select pictures for today’s post. The recipe was way quicker to put together…. 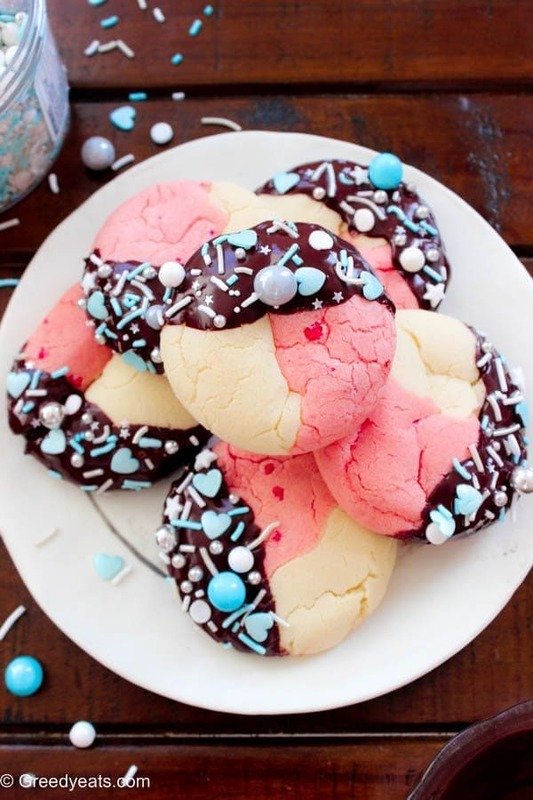 Soft, chewy, festive and inky-pinky strawberry chocolate chip cookies recipe. Only one you will want to bake! Or try their giant counterpart! You won’t even need to roll extra balls. So easy! These strawberry cookies you sight above are anything but ordinary. They are filled with strawberry flavor, loaded with gooey chocolate chips and exploding with sweet cherries….